Three Bang lang nuoc (water crape myrtle) trees in Bang Lang temple, the Mekong Delta province of An Giang have been recognised as heritage trees by the Vietnam Association for Conservation of Nature and Environment (VACNE). The announcement was made in a ceremony held on April 6 in Cho Vam Town in the province’s Phu Tan district. Two of the trees are 305 years old and the other is 215 years old, according to Banh Thanh Hung, a worker from the province’s Forest Protection Division. The trees have an average height of more than eight metres with a trunk circumference of four metres. Truong Thanh Nhan, Vice Chairman of the Phu Tan district’s People’s Committee, said the trees are part of the history of locals reclaiming and forming the area in the past. They were used to help revolutionary-era cadres hide documents and evade the enemy during wartime, he added. The official recognition by the VACNE was part of its efforts to promote environmental protection and preserve biodiversity. The association also aims to raise awareness about conservation, beautiful landscapes and cultural and historical values. 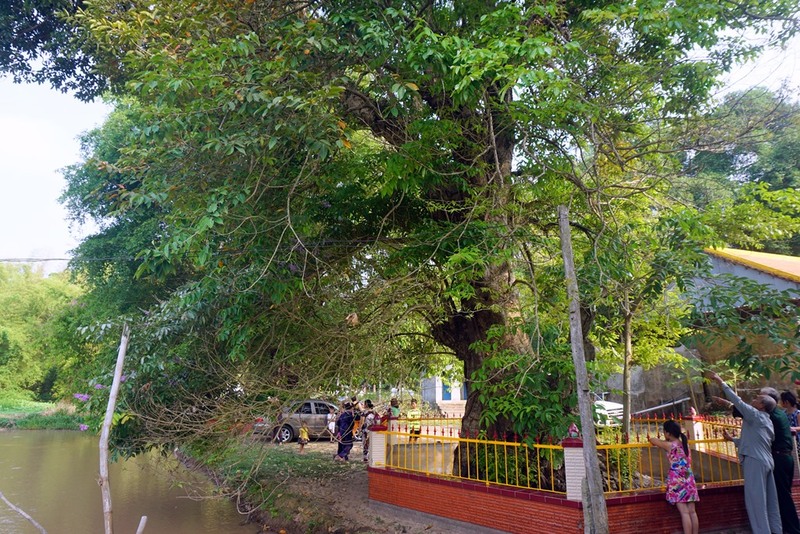 Another five trees in the province have previously been recognised as heritage trees, including a 400-year-old dau (dipterocarpus alatus) tree in Tinh Bien district, a 700-year-old dau tree, a 500-year-old tamarind tree and two 300-year-old litchi trees in Tri Ton district. In 2009, a 400-year-old banyan tree in the province’s An Phuoc district was recognised as the largest banyan tree in Vietnam. To win the heritage tree title, a tree must be at least 200 years old in the case of wild trees, and at least 100 years for those planted. The trees must also be connected with the historical and cultural characteristics of the area where they grow.